This book combines three sets of four lectures, each set given in the successive years of 1909, 1910, and 1911 on the three subjects of the subtitle: anthroposophy, psychosophy, and pneumatosophy. The suffix sophy stands for knowledge, so anthroposophy refers to the knowledge of the anthropos or full human being, psychosophy refers to the knowledge of the psyche or soul, and pneumatosophy refers to the knowledge of the pneuma or spirit. Taken together the 12 lectures are a guided tour into the depths of the knowledge of the "Body, Soul, and Spirit". Fasten your seat belts, it will be a bumpy ride, and the unbuckled are likely to be thrown before we glide to a halt. 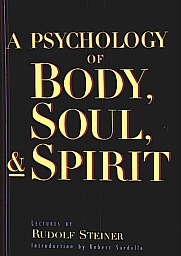 The 2nd Set of Four Lectures in 1910 on "A Psychology of the Soul", Click Here: Psychosophy. The 3rd Set of Four Lectures in 1911 on on "A Psychology of the Spirit", Click Here: Pneumatosophy. For the intrepid among us, Sardello suggests we begin with psychosophy, then pneumatosophy, and finally ending up with anthroposophy. Since I followed his suggestion, I cannot comment about how a reading straight through the book in order might have gone, but I did find many aspects of anthroposophy that were new to me in the first four chapters. Those four lectures were even more challenging in many ways than what followed them. I will, however, review the book in order as it is written. The thirty-one page Introduction by Robert Sardello summarizes what one can expect in this book. He says, "This book is not just another psychology to put alongside all the others. Rather, it presents a possible future for the discipline as a whole." (page ix) From what I know of Sardello's work in his "Spiritual Psychology," he seems to be developing that future he envisions. 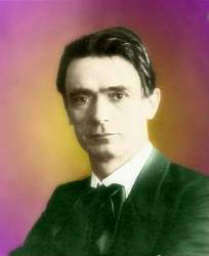 [page vii] This series of twelve lectures by Rudolf Steiner provides a basis for an entirely new psychology. The first four lectures (on "Anthroposophy") provide a precise, dynamic understanding of the human soul in relation to the activity of sensing and to the subtle processes that structure and form the human body. The next four lectures (on "Psychosophy") focus on what we can know of the human soul on the basis of direct observation alone. No theorizing takes place; no special faculties are employed. Steiner was a disciplined clairvoyant but here he seeks to show what can be known of soul life through the immediacy of engaged observation of oneself and others. Therefore he refrains here from using his higher capacities, relying only on unmediated observation to form a picture of the activity of soul life. The particular nature of this kind of unmediated observation is important and will be addressed in this introduction. Finally, the concluding lectures (on "Pneumatosophy") portray the relationship of soul life to spirit life, particularly with regard to how to awaken individual spirit life and how to distinguish between illusory and genuine spiritual experiences. [page 14] When anthroposophists study the human senses, they find themselves trespassing on anthropological ground. Anthroposophy must always start with sense reality but must be clear that the spirit works down into it from above. Anthropology limits itself to what can be investigated below and confuses everything. Anthropology views the human senses in a way that misconstrues matters and eliminates what is, because it lacks a guiding thread for discovering the corresponding truths properly. If no thread exists to act as a guide through factual labyrinths, it is impossible to find the way out. Spiritual research must spin the thread that the legendary Theseus used to guide himself out of the labyrinth of the Minotaur. Ordinary anthropology gets caught there and becomes the Minotaur's victim. We shall see that anthroposophy says something different from the usual outer view. guide us through the labyrinth of facts. they keep us safe from collision. The beacon of light that Steiner provides for psychology may seem dim to those who wear the dark glasses of materialistic science. Time has not dimmed the brilliant light he casts for those who are willing to remove their blinders. [page viii] The lectures took place over a period of three years, from 1909 to 1911, almost a century ago. One might be tempted to think that whatever they have to say about psychology must be dated, and that if it is relevant to the field of psychology at all, it must be only to its history or early development. It is also tempting to think that, since Rudolf Steiner is not usually regarded as one of the founders of modern psychology, his efforts in this direction must be considered, at most, an interesting aside. But a very good argument can be made that these lectures are, in fact, a wellspring for the true stream of psychology, and that all that presently passes as psychology are but wandering tributaries. [page x] When this book is read — deeply read — it is impossible to come away from that encounter without realizing that the modern initiatory path of anthroposophy is a spiritual-psychological endeavor. What does it means when something flows into one's soul, or flows between two souls? We are taught to get control over our words, and yet, something flows between two souls which is wordless, so we must learn to use words, as Sardello tells us on page xiii, "to go beyond words." Words are more than mere containers for thought, mere content, but rather the exterior sensory data of a living process we undergo as we speak. The polarity between the content and process of words must be reckoned with. [page xiii] The polarity serves to awaken the thought-quality that soul is not some kind of container but rather an inner, dynamic, mobile, developing, regressing, conflictual, flowing, relationship. A relationship with what? The soul is "in relation" with desire, with the body, with the spirit — none of which, incidentally, can themselves be considered to utilize the language of content without degrading what they are about. "To do psychology," Sardello tells us, "we must be able to enter soul-consciousness. Otherwise we are not really doing psychology at all, but only talking about psychology from the safety of ordinary consciousness." If you have personally found lectures and books on psychology to be boring, it is likely because you found nothing in them to satisfy the longing for impressions that they created in you. just now . . .
only disturb our rev’rie here. About fifteen years ago I learned about the power of holding an "unanswered question" -- I didn't have any basis for understanding why the process was important or how it worked. Now I do, Sardello describes it as a "soul quality". I experienced the salubrious effects from holding an unanswered question — by keeping the question open, it lived inside of me and led me to amazing discoveries and insights. Western culture instills a distaste for unanswered questions and teaches us to accept the first answer that comes along and immediately dispatch the question into oblivion. One can easily observe when this happens — the person will usually say, "I found the answer", when all they found was one answer. Note the difference if you say, in an identical situation, "I found one answer." Instead of dispatching the question, you have intensified the search for a better answer, actually many answers, with multiple levels of meaning for each one. Sardello talks about this process of holding an unanswered question, referring to it as "mulling over." It is a process one will need to learn if one is to comprehend the material in this book. [page xiv] You will notice — at specific places in the text, but really in the book as a whole — that words are used to describe soul life, while at the same time these very words seem to have to be erased. For example, judgment connotes one thing: an attempt to reach a final conclusion. But, as soon as you think you understand that concept, the term is reintroduced, but is now said to mean "mulling over." "Mulling over" doesn't really go anywhere, except over the same territory again and again. So, what kind of soul quality is being described? It is a quality that can be imagined as a kind of intensive experiencing-living experience, not having experience. Soul experience is something like the reintensifying of what we encounter in inner and outer ways. Such reintensification never comes to a conclusion, not in soul life. There are provisional conclusions, and these are what we experience as mental images. The soul quality described as "judging" can be understood to mean that we relive our life at the same time as we are living it. And this reliving, which happens simultaneously with living, consists of the upsurge of personal and even collective past, of waves of emotion, feeling, attention, memory, desire, even past lives, and many other qualities that qualify any moment as not something just gone through, but gone through with multileveled meaning. All of us know ourselves. That is a tautology. But it was one of the two phrases posted over the Oracle at Delphi: "Know Thyself", so even back then it must have meant something other than simply to be conscious of oneself. This is difficult to talk about, but Sardello acquits himself well in this next passage as he expresses what it really means to embark upon knowing oneself. [page xvi, xvii] Steiner does not talk about soul; he speaks from soul. That is the entire method. There is, however, an entrance fee for doing psychology. The fee is that you need to leave behind your well-known-to-you self-identity. You must suffer the experience of leaving behind not only what you know, but also what you think you know of yourself. This requirement qualifies psychology as integral to the work of initiation. One of the things we know about ourselves is the events of our lives. If we write them down in a biography, we can make our life look well-organized, as if we were in self-control all the time. Needless to say, such a biography makes for boring reading. Why? Because the soul's role in shaping our life is completely omitted from the narrative. Biography is only one of the psychological categories which omits soul — the rest of the list which Sardello gives is: "myths, symbols, empathy, confessional reporting, dream interpretation, case histories, theories of the self, trauma, abuse, analysis, and visualization." [page xviii] The fact is that when the lazy mind takes the phenomena psychology addresses to be some positive content, the soul is left out of psychological categories. When, for example, the events of a person's life are organized in a well-ordered biography — fixed into time periods that make it look as if the events of life are pat and nailed down — then the soul is abandoned by the very endeavor whose work is to care for soul. It was a thought along these lines that led me several months ago to begin my biography by taking a day out of each year and skipping one decade at a time, and having myself given amnesia for my entire life so as to learn in leaps across the years about my own life. I am led through the decades by my Soul Captain, who knows how things got the way they are, but allows me to absorb them as they occur. This method may qualify as the opposite of a well-ordered biography — it is certainly one that will create a lot of unanswered questions as one reads along. The mind-boggling revelation that error originates in the spiritual world is enough to stop one in his tracks, as shown in the cartoon of Padre Filius crossing a stream. Error is our stepping stone to the spiritual world, and the good Padre is stopped while waiting for another stepping stone of error to appear. [page xxv] Steiner's response to these questions is quite startling: error originates in the spiritual world, and our stepping stone to this realm is through this aspect of the spiritual world itself! Thus, our first access to the spiritual world is through error. But we must recognize this error consciously. And, in addition to recognizing it, we must have the inner moral force not to be taken into the error: we must be able to utilize the inherent spiritual forces to bootstrap, as it were — or perhaps better said, "soulstrap" -- ourselves into the spiritual world. If one were to contemplate, say, an inner image of an angel, the difficulty would be that it is unlikely we would recognize this image, too, as an error. Nor inner image of an angel accurately portrays in any way the nature of an angel. The importance of these lectures of Steiner lies in how they help to overcome the bias of the sensory world that science and medicine has increasingly inculcated into us since the 15th Century. We have subtracted, as Samuel Hoffenstein wrote, "fact and fallacy from fact/the illusory from the true/and starve upon the residue." Sardello sums up for us what we must do, and we learn from him how Steiner will help us to do what we must do. [page xxxvi] We have come to live in our bodies according to the medical-scientific concept of the body. The medical view of the body is based on the anatomy of a corpse and on the physiology of a dismembered human body. Consequently, we must imagine soul and spirit back into our own living being. In this way, we can regain a soul-sense of embodiment. If we approach the lectures on sensing and the body with this need in mind, they can help to awaken the long-forgotten reality of our embodiment. Soul and spirit are not some kind of invisible entities lurking around as ghosts in a machine; the body is ensouled and inspirited through and through. But, to properly understand such a statement, we must keep in mind the body as more invisible than visible. Steiner begins his exposition by explaining the relationship between theosophy, anthroposophy, and anthropology using the metaphor of a mountain climber. A theosophist is someone at the top of high peak looking down who must use the spiritual tools of Imagination, Inspiration, and Intuition to make out the details at the base of the mountain below. An anthropologist is someone at the base of the mountain who lives directly in the details, but has trouble discerning what is happening on the peak of the mountain because her tools require her presence in the place she uses them. An anthroposophist is someone who has a camp halfway up the mountain so as to be able to discern the details on the peak as well as the base. Someone who is able to use the tools of both the theosophist and the anthropologist to the spiritual world above and the physical world below. [page 5] In other words, theosophy is what we investigate when the divine within us speaks. Essentially, the correct meaning of theosophy is the allowing of the god within us to speak; what it tells you about the world is theosophy. Anthroposophy, for its part, may be characterized as the wisdom spoken by us as human beings when we are between God and nature, and allow the human being in us to speak of what is shining into us from above and of what is projecting into us from below. Anthroposophy is the wisdom that human beings speak. Where is the philosopher in this metaphor of the mountain? He is in a hut studying the writings of other philosophers, so it matters not where his hut is located on the mountain. One of the greatest early philosophers was Heraclitus, who said, "You can't step in the same river twice." In a footnote, the editor tells us, "Heraclitus (ca. 500 B.C. ), Greek philosopher who taught that all of reality is in a constant state of dynamic equilibrium, that "opposites" always have an underlying connection, and that all is manifestation of the Logos. Heraclitus was a student of the mystery of Ephesus and possessed a natural clairvoyance which allowed him to experience the higher worlds directly. When he communicated his experiences, he had to use the concepts of ordinary understanding, which came to be the subject of debate among his later followers who had no direct experience of the spiritual worlds to assist them in comprehending what Heraclitus had written. His followers can be seen as the prototype of the philosophers we know today. [page 9] Heraclitus's followers could no longer understand that his communications derived from immediate experience of higher worlds, so they became involved in intellectual speculation. They believed, in their merely philosophical mentality, that they were uncovering errors in Heraclitus and busied themselves tinkering around trying to correct them. Concepts continued to be fabricated and passed from generation to generation. The remnants of philosophy that have come down to us are nothing more than an inheritance of ancient teachings with all the life sucked out of them and squeezed dry, to the point where skeletons of concepts are all that have survived. Philosophies are mere abstraction, inheritances from an ancient wisdom now reduced to empty concepts. Philosophers are unable to conceive anything for themselves. For that, they would have to make an expedition into higher grounds. The term, anthroposophy, began as a dry concept of the philosopher Robert Zimmermann, who wrote a book by that title. Steiner tells us that "Zimmermann was inadequately equipped for the task; thus, his writings were fabricated from the driest, most abstract concepts." One might imagine that Zimmermann's hut was halfway up the mountainside, but he never left it to examine his surroundings. We find anthroposophy situated at the human perspective - on a median between the subhuman perspective of anthropology at the base of the mountain and the high flights of theosophy at a superhuman level around the top of the mountain. [page 10] Concepts conceived at that level fly too high above humankind. Since people up there cannot see anything of the world below, they spin webs of manufactured concepts. We are not interested in doing that; our quest is for reality, and you will see that all reality of human life opens to it. You will still recognize the old friends, the old goals of our seeking but illumined from a different viewpoint, looking both up and down. Our human heart is ancient — its originated during the Sun stage of evolution, and developed as each succeeding stage of evolution unfolded. In a sense, our heart is a living record of the evolution of the cosmos. Steiner asks us to look at our heart in this perspective. [page 12, 13] We see here, shining into the human physical body, many different forces from the most diverse sources. Belonging as it does to the oldest group of organs, the heart truly has a Sun element, a Moon element, a second Sun element and Moon element, and then, after the separation of the Earth, the addition of an Earth element. If all these elements of an organ (or those of the whole physical body) accord as they do with the harmony of the cosmos, a person is healthy. If one element outweighs another — for example, if the Sun element in the heart overwhelms that of the Moon, the heart becomes ill. You understand the illness when you know what caused the Moon element to fall behind. All illnesses result from various elements becoming unbalanced, or irregular, while restoration of health is found through restoring harmony among them. The sense of touch is not omitted, but can be seen to a composite of senses in the above list. [page 18] Touch as a sense is usually lumped together with the sense of warmth. This arises from the confusion created by those who lack the guiding spiritual thread. At first glance, touch indeed has significance only as the sense of warmth. The whole skin can be designated as such a sense. . . . All the senses, from the fourth through the seventh, or sense of warmth, have the capacity of touch in common and may be properly placed in the touch sense category. As Steiner points out below, the science of physiology is very much out of touch when it comes to imagining a single sense of touch. [page 25] It can be asked why the sense that science calls the sense of touch, the one most dealt with, has been left out here. Since there is to be such a limited number of lectures on the senses, some aspects will have to be covered rather sketchily, and much that is said may then sound somewhat paradoxical. The sense of touch has been left out because the way it is usually described is as a fantasy structure, an invention, of physiology. It cannot be said to exist as such; a whole series of senses can equally well be designated touch senses. There is no such thing as an actual sense of touch. There is a sense of balance, however, which when we press against something is activated. And when it is activated, a compensating force from the astral body is generated. One must imagine the body as a balloon — when it is pressed in one place a force is exerted against the pressing force. [page 26, 27] When pressure is exerted on any part of us, our balance shifts, and we push the astral body into that compressed part, thus restoring balance. In fact, we let it extend out slightly beyond the part under pressure. There is, so to speak, always a small astral swelling where the body part is pressed. This purely astral equalizing effect is so powerful that it is able to overcome from within the full pressure of the air outside. The spirit is literally palpable here; it just isn't noticed. Have you ever been "carried away" by a certain smell? There is a part of us, an astral current, a feeler, if you will, reaches out to contact a smell in our environment, and in doing so brings our consciousness soul into operation as we smell. [page 27] Gaseous substance penetrates into the mucous membranes of the nose as we smell, and astral substances simultaneously balance this process by pressing outward in the same measure. When we are engaged in smelling something, these astral substances always desert the organism and plunge into the object; they experience not only in themselves but in the object, too, what we call fragrance, aroma, stench or whatever. . . . for what is streaming out of the astral body in the act of smelling? Nothing other than will-like nature. What we fee inwardly as the will impulse wells up to meet the material flowing in as we smell. Smelling is a process of resisting, a will to repel the influx of matter . . . will flowing in from outside us. Forces of will engage one another when we smell things. With tasting, it is the intellectual soul at work sending astral currents to the substances on the tongue, but unlike smelling where will flowed out to meet the smells, with tasting, it is feeling interacting with feeling that we are tasting things. With sight, what is working on the etheric body is streaming into the sentient soul and in the process creates thinking within us. [page 28] In the sentient soul it is a form of thinking that streams outward through the eyes as genuine thought substance. It has a far greater elasticity than the two other substances that stream out through the senses of smell and taste and for that reason reaches out much further. An astral element really does stream out from the human being to the things. The special quality of sight that involves the phenomenon of color is dealt with next by Steiner. This is an area that interests me as a physicist who grew up on Newton's theory of color. To understand the next passage, one must realize that sight is a sentient soul form of thinking that steams out as an astral element much farther than the senses of smell and taste. [page 28] An astral element streams out as thought substance toward a thing and continues until, at some distant point, it encounters resistance in an opposing astral countercurrent. The conflict that ensues between these two astral elements creates the color that we sense on things; it comes into being at the boundary of the thing, where the astrality streaming out of us meets the astrality streaming forth from the object. Color is produced at the border between the interior and the exterior astral elements. In my college physics course, there were usually two opposing physical elements in most calculations, gravity-centrifugal force, action-reaction, force-resistance, current-impedance, etc,. What Steiner opens up for us is a vista that includes forces that are non-physical, but nevertheless real, forces whose effects can be observed with our senses (some of them comprise our senses), but are otherwise directly invisible to man-made instruments. In other words, this is an area where humans can perceive these otherwise invisible forces, but have not created instruments that can perceive what a trained human being can perceive, up until now. It seems likely that such instruments will never be designed because they require an living instrument, like a human being, which directly participates in the forces that are observed. As Steiner observes on page 29, ". . . the physical arises out of the spiritual, and the human being can now be understood, down to the finest anatomical details, through anthroposophy." The next sense covered is warmth. I read years ago that someone measured that a human being can respond to a millionth of degree difference in temperature, which is about the level of change that occurs when a person enters a room. We've all experienced turning around because we "felt" that someone was in the room lacking any conscious sensory data — what we felt was the warmth of that person's body. Is a sense of warmth more outrageous that positing that a human can detect a millionth of a degree? You decide. [page 29] The next sense is the sense of warmth. Here again is something that, through its effects on human being, mediates the sense of warmth. This is the sentient body. It activates its astral substance and allows it to stream outward to enable us to experience warmth. This occurs when we are able to send our astral substance outward without being hindered in the act. We don't feel warmed in the bathtub if the water surrounding us is at body temperature; if both are equal, we can't absorb warmth from the water. Only when we stream out warmth or when it can streams into us from outside do we sense either warmth or coldness. When our surroundings lack warmth, our own warmth flows out into them; when we lack warmth, we let warmth stream into us. Here again, it is obvious that an outstreaming and an instreaming are taking place. When inner and outer equilibrium exists, then temperature is not experienced. The experience of temperature is always connected with the activity of the human sentient body. If we touch some object where the temperature is rising, the outstreaming of the sentient body becomes ever stronger. Our sense of hearing is yet stranger than the that of warmth. Warmth is the highest sense that we can develop out of ourselves, Steiner tells us. Like plants who cannot reproduce unless some higher form of life such as animals or humans assist them, we humans cannot hear unless the form of life one level higher than us assists us, namely, the angeloi, or angels. How do they assist us in hearing? [page 30, 31] They send their astral substance into us as a foreign astral substance, which we then make our own, allowing it to work in us and then to stream out again. It streams out through our ears to meet what sound brings toward us. We move, as it were, on the wings of these beings into that inner realm that we learn to know as the soul of things. Here we are concerned with beings who stand above human beings and fill them but whose substance is of the nature as our own astral substance. [page 31] They have to enter us and give us of their etheric bodies, enabling us to pour this force out again into our surroundings. . . . In the sense of hearing, angels manifest their work outwardly in air vibrations, which affect the air in our ears, whereas the archangels counter what occurs in the air outside with a different kind of action They cause patterns of movement in a fluid substance with the result that it circulates in a certain direction. That we perceive the meaning of "A," for example, is also a consequence of the circulation of the finer fluids. If one is skeptical about the utility of this knowledge, one need only attend a performance of eurhythmy, a combination of dance and vocal performance that was created by Steiner. One can experience directly the force of the various speech tones. [page 32] We are speaking here of the activity of beings of archangelic rank. They pervade human beings with the speech sense or tone sense and set our fluid substance vibrating. One of the greatest experiences a person who is ascending to higher worlds can have is to begin feeling what a difference there is in the formative force of the various speech tones. The tone force shows its effect best in the fluid element, while that of sound is shown in the air. In my brief study of music theory, I came to realize that a chord tends to contain all or most of the notes of the melody it rides over. A chord, rightly understood, is a instantaneously compressed melody that extends over time. If you imagine a segment of four notes of a melody written out and then were to move them into alignment, you would get the chord or harmony for the melody. [page 35] Imagine that you perceive a melody. When you do that, you hear the tones sounding in sequence. Now picture what it would be if you were able to compress the melodic line in which the tones are heard consecutively to the point of hearing them simultaneously. To do this, you would have to shove the past and the future into each other. You would have to know in the middle of the melody what was coming next, in order to slide the future into the present. This process that we are unable to carry out consciously actually goes on unconsciously in the speech sense. Whenever we hear an "A" or an "I" or some other speech tone, a melody is instantaneously transformed into a harmony by an unconscious activity within us. That is the mystery of tone. This marvelous unconscious activity is carried out on a more spiritual plane, in a manner similar to that taking place within the eye when the various refractions occur according to the strict physical laws that we become conscious of only afterward. We are doing here exactly what the physicist does when he explains how refractions occur in the eye. Melody becomes harmony instantaneously. [page 36] Unconscious activity has something more to do: it must disregard the fundamental sounds and hear past them, as it were. Our souls actually do that when we hear the "A" or "I" tone. It is not as though the other tones weren't there, but rather that our attention is shifted from them to the overtone harmony they make. Only then do we have the speech tone. Speech tones arise when a melody is instantaneously transformed into a harmony and then the fundamental tones are disregarded in favor of the system of overtones. These overtones then convey the meaning of the tone "A" or "I." Now you have what speech tone perception really is, explained in the same way as the physicist explains the act of seeing. The last of the above list of ten senses is the Sense of Concept, which Steiner says could also be called the idea sense. [page 34] Our study of the senses has progressed to what we call the speech sense. We will now go on to what we might call the "concept sense," using the word "concept" not in its philosophical meaning as pure concept but as it is ordinarily used when we form a mental pictures of something someone tells us. We could have equally well called it the "idea sense" or the sense for mental pictures or representations. Steiner goes next into several more higher senses including Imagination, Inspiration, and Intuition which rounds out the complete human being and presents us as an instrument for perceiving the world, not as our man-made machines are able to perceive with their paltry instruments of vision, hearing, talking, smelling, etc, but as only a complete human being can perceive the world — as soul-filled instruments of perception. [page 41] What I have been describing to you in today's presentation, as well as in the two previous lectures, is the true human being, the human being that is an instrument for perceiving the world, for experiencing it through the soul and grasping it spiritually. That is the true human being. And what the human being is actually forms the physical body. I have not been describing human beings in a finished condition but rather what is active in them. All that activity, everything that works together in the physical, soul, and spiritual planes, is what forms human beings as they stand before us on this planet. Any true scientist who understood the above would never consider attempting to create human-like "androids that walk, talk, and feel just like the rest of us" as the cover of the July 2004 issue of WIRED magazine announces is in progress. The only ones of "us" who could qualify for that distinction are those already hopelessly as soul-less and devoid of spirit as their androids must necessarily be. Unless held or propped up, a hammer will lie on table or workbench. It has no ability to stand up on its own. I reach over and stand it on end. The hammer moved because a will lifted it. "Nothing miraculous about this, since you see the manipulating will embodied in a person," a skeptical person might say, but that would be overlooking the miraculous nature of the will embodied in a person, would it not? If that same person were watching the hammer lying on a workbench and it suddenly rose to a vertical position all by itself, what might they then say? They might examine the area for hidden wires or magnetic fields, and absent evidence of any hidden mechanisms, they might say that the hammer seemed to have a will of its own, a spirit in the hammer. That would be acknowledged as remarkable, a miracle, no doubt. Is it not equally miraculous that the human being is able to rise erect, to have a will, to have a spirit which motivates the human being into an erect position relative to the world? Animals cannot do that — their bodies are organized horizontal to the world and they can only rise for short periods of time into an almost vertical position which is obviously not their preferred or natural position. Humans, on the other hand, walk, talk, eat, play, stand at attention, look out and examine the world in an erect posture that is natural to them. Without a will or a spirit, the human being would resemble nothing so much as a recumbent papier-mâché figure lying on the ground. Detecting the difference between lifeless figure and a very still human being is an easy job for a human being and a difficult job for a machine, because a human being is spirit-filled and has the possibility of clairvoyance whereas no machine is spirit-filled nor can it possess clairvoyance. [page 51] If you were not a precise observer and were out walking with a clairvoyant person, you might, let us say, come across a motionless figure lying on the ground. Because you are not capable of exact observation, you would not be able to determine whether the object is a real person or just a papier-mâché figure. The clairvoyant would tell you that it is a real human being and say, "He has an astral body." You would have to believe it. But a third possibility is that figure lying there might suddenly get up. You would then no longer doubt that the clairvoyant was right — that a soul and spirit inhabited the figure, since it stood up. That is the third possibility. One can believe one's own eyes and postulate a soul and spirit once the figure rises up, but refuse to believe a clairvoyant when she makes a prediction which proves to be true. Why is this? One reason is the word clairvoyant has devolved into meaning charlatan with our world's advancement into greater and greater materiality. A clairvoyant to Steiner is simply a precise observer who is able to view both spiritual and materialistic aspects of the world accurately, in other words, a clairvoyant is one who is a "clear — seer" — one who sees clearly into the material and spiritual worlds. We are closing in on understanding the Currents Figure (adapted from page 43). We will return to this figure many times during the progress of this review, so keep it handy while you read on. Rightly understood, the entire design of the form of the human being can be understood by a complete examination of this Figure, but establishing the basis for that examination will require some time and study. Here is Steiner's summary of the figure, but please note that, at this point, it adds nothing but a verbal description of what we can see in the figure. Be patient and the deeper meanings will spring out of this figure as we proceed. [page 51] It was said that in the human being the physical body's current flows from left to right, the etheric body's current from right to left, the current originating in the sentient body from front to back, and so on. The astral body's current flows upward from below, and that of the I flows down from above, countering the each other. All these currents flow into one another and intermingle. In this next passage Steiner lays out for us how the hammer that was once the human being rose during our evolution to a vertical position by an infusion of will from the spirit world which forever distinguishes human beings from the animal kingdom. It was a miracle when it happened, and that miracle yet lives in every human being today. And we know it when we see some being rise to a natural vertical position — we know we are seeing a human being, a being in which the I entered the blood during the Earth stage of evolution and raised it to a vertical position thenceforth. [page 51] It was said that the I works from above downward. How, then, must the outer organ be situated for us to be able to use it as an instrument of the I? You know that the outer organ of the I is the circulating blood. The I could not function from above downward without its organ moving vertically through the human body from above downward. Where would it be impossible, then, for the human I to exist? Wherever the main current of the blood flows horizontally instead of vertically. Animals have horizontal bloodstreams; the group I of animals cannot find its own organ because the main circulatory course of animal blood is horizontal. That is the difference-the main circulatory flow of human blood had to be raised to the vertical so that the human I could enter it. 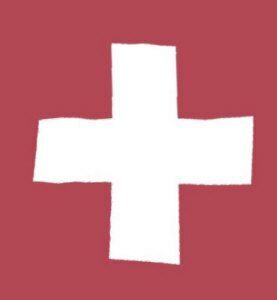 On the one hand, we have the animals in which the group I cannot grasp the blood as its organ because the blood flows horizontally; on the other hand, in human beings the I can do so, because the blood's primary course has raised itself to the vertical. This should make it crystal clear that the Currents Figure above applies only to human beings and not the lower animals, who possess only a group soul in the spiritual world because an individual soul and spirit cannot enter a physical being on Earth whose blood stream is not vertically oriented. Thus animals are incapable of accepting the entrance of a spiritual "I" from above at this stage of evolution, just human beings were incapable of it during the Moon stage of evolution. It also provides "an example of the middle standpoint of anthroposophy that observes physical facts below, observes spiritual facts above and compares them, thus fully explaining what is encountered in the outer world." The italics on the word fully, I added to distinguish anthroposophy from material science — a science that is handicapped by only looking at the physical world for explanations and able to provide only un-satisfyingly partial explanations for the serious questions of the origin, nature, and future of humankind in the cosmos. In the next chapter Steiner develops for us the symmetrical orientation of the human body: how the physical body from the Saturn Stage of evolution was asymmetrical, oriented from left to right. When, during the Sun Stage, the etheric body was formed, it was asymmetrical also, but oriented from right to left. The physical obtains its symmetry when during the Moon Stage the Sun influences switch from working from within the body upon which human physical bodies are located to working from the outside of that body. This causes a balancing in the physical body which creates it symmetry. During the Earth Stage a similar switch creates the symmetry of the etheric body. To understand how this works, one needs a little background into what happens during each stage — how the heavy fluids and lighter fluids are inverted in the smaller body cast out of the larger body. 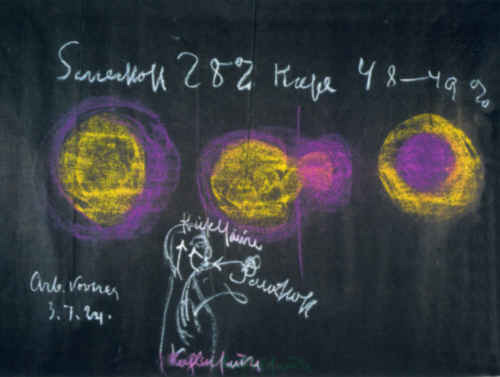 The diagram at right, drawn by Steiner's hand on 3 July 1924 shows the Earth Stage transition in which the heavy fluids are shown in yellow and the lighter fluids in purple. The lighter purple fluids surround the Old Moon at the far left. The Moon at the far right shows the heavy yellow fluids surrounding the Moon at the far right, and the lighter purple fluids surrounding the Earth in the middle of the diagram. (See "From Sunspots to Strawberries" here for more explanation.) A similar diagram could be drawn for the Old Moon Stage in which some yellow heavy fluid ends up in the middle of the Sun surrounded by mostly lighter fluids. The Old Moon which separates from the Sun has mostly yellow heavy fluids surrounding purple lighter fluids. After each separation the object in the middle is the object remaining which is named after the stage of its separation (Old Sun, Old Moon, Earth) and the object to the right is named after the previous stage of evolution (Saturn, Sun, Moon). In other words, the process described in detail by Steiner in From Sunspots to Strawberries in the passage from pages 24 and 25 for the Earth stage of separation can be seen to apply to the previous states of separation as well. The Stages Diagram below shows this process with P= purple or lighter fluids and Y= yellow or heavier fluids. With this background we are able to understand what Steiner is talking about in the next passage about how the symmetry of the physical body was attained. A similar process at a later stage may be postulated for the etheric body to attain its symmetry. It is no accident that humans are bilaterally symmetrical, but rather a consequence of our human evolution, rightly understood. [page 55] Spiritual scientific research shows that the human physical body is very ancient, having originated on old Saturn. The etheric body was added during the ancient Sun, the astral body during the Moon, and the I first appeared on Earth.1 We may now ask what the physical body looked like when it was formed on old Saturn. It was, of course, asymmetrical, since it had to work in a direction that corresponds to the left to right orientation of today's physical body. And what about the etheric body in its origin on the Sun? It, too, was asymmetrical, since it had to be laid out in the direction that corresponds to the present right to left orientation in the human body. Evolution continued, however, and didn't stop with the effect of ancient Sun; the effect of Moon activity now began. The physical body continued to evolve, and its form was shaped further. If the Moon's effect had not been added, human beings would have remained physically asymmetrical. But the physical body's development continued on the Moon, and all the rest evolved further on Earth. Something thus had to enter the picture that changed the earlier formation and transformed it into an entirely different one. The direction had to be reversed in order to avoid one-sidedness, and this had to be done from the opposite side. In other words, the direction from left to right that had been imprinted on the organization of the physical body during Saturn now had to be balanced by a development from right to left. How did this happen? In previous lectures I spoke about the Sun's separation from the Moon during the ancient Moon evolution, and I said that the Sun's forces no longer worked from the same side, from within the Moon's body, but from outside. This is the same thing that happened to the etheric body as the development progressed. What developed as the physical body until the time of ancient Moon was then taken up from the side under the external influence of the Sun. At this point, one can now understand how the human body is symmetrical and that the physical currents flow from left to right and the etheric currents flow from right to left as shown in the Currents Figure above. Now let us turn our attention to how the sentient soul and sentient body currents flow flowing counter to each other result in the creation of our sensory organs. In the next passage the sketch Steiner refers to on page 56 has already been incorporated into the Currents Figure. [page 57] As was said, the physical and etheric bodes and the main portion of the astral body were already present. Now the currents issuing from the sentient body enter the picture to bore their way into the organism from front to back. Their action is such that they build various organs into what was already in the human organism. . . . In viewing this sketch, you can see the human face in profile. Coming from the front are currents that bore the sense organs of sight, smell, and taste into the head, and from the rear to the front come the formative forces that build the brain above them. This is how the human head is fashioned, as seen from the side. The activity of the Sentient Soul can only come out at places where the openings of the senses have been bored. The Intellectual Soul cannot escape, "cannot move outward at all, because no currents come to meet it from the outside." That is why the Intellectual Soul does not appear on the Currents Figure — its process is strictly an inner process. This also makes it a source of error. [page 58] This is why our thinking is an inner process; it has no way of getting out. Human beings must contemplate within themselves. Other things cannot think for us, nor do they reveal the thoughts to us from outside; we have to bring the thoughts to meet the things. This is the great mystery of the relationship of human thought to the outer world. The sense organs do not convey thought to us. If a sense organ has an irregularity, the impression it receives is easily distorted. While, however, in normal life the senses do not distort, the intellect can, because it is the first member of the human being that is able to err, because its activity is dammed up within the brain and cannot get out. During earlier times, humans did not have an I blocking the currents flowing downward and this allowed human beings to see their thoughts. This ability allowed humans to have accurate thoughts about external things that they had not encountered in their present incarnations — these were memories, rightly understood, from an earlier lifetime that were still accessible to them. [page 59] What does it mean to say that people saw thought, which we are now limited to merely thinking? It means that they were clairvoyant. Because it is the I that separated them from the ancient clairvoyance, however, the I was thus not yet present. We must, therefore, call it a clairvoyance that was still dim and not yet illuminated by the I. Dim is the right term for that ancient clairvoyance; people must have passed through earlier stages in which they possessed a dim clairvoyance. When Darwin created his version of evolution, he used sensory data, but did not resist his conclusions to descriptions of the sensory data. One example of this was when he claimed that humans were descended from apes. Steiner gives us the process by which Darwin and other humans became convinced of this descent from apes. [page 62] Human beings did not draw false conclusions about human descent as long as they depended only on observation and applied their minds to what was spread before them in the world of the senses rather than to what was not observable. Of course, they didn't judge human evolution out of the intellect, but relied on a natural, exact sense for truth. They looked at apes and felt the same uncanny feeling that any healthy-minded person does when looking at apes — one that can be compared only to a certain sense of shame. That sense was closer to the truth than what was said later by the erring intellect. In this sense of shame lies the feeling judgment that apes are beings that fell from the human stream, beings that remain behind; they originated in the human evolutionary line and had to be separated out from it. Contained in this was a feeling that human beings could reach today's heights only by first separating from themselves what has now become the ape form. If we had retained it, we could never have developed into human beings. This lies in the natural, healthy feeling. But then the matter was investigated through the intellect, and this gave birth to the erroneous statement that the human form descended from the ape! That is an error. The more you think about it, the more you will find that what was just discussed is deeply justified. That human beings are descended from apes is an error that you can confirm through a very ordinary consideration. When we look upon another human being what are we seeing? It is often said that the eyes are the "windows to the soul," but Steiner goes a step forward and tells us that the face is "an image of the soul." [page 63] You look at a human face — that is, the picture of a soul — and while looking at this picture of the soul (of course, it is only an image), you think of it as corporeal. That view is totally mistaken and demonstrates how wrongly we interpret things as soon as we call on our power of judgment. We form correct views of external images only if we understand them correctly, if we speak of the human countenance as an "image of the soul" and recognize the mistake in trying to explain it only on the basis of the physical and etheric forces. The human countenance must be explained out of the forces of the soul itself; the visible is explained in terms of the invisible in this case. This next passage only too well describes how the logic of spiritual science places a greater demand on our logical thinking than materialistic scientific does. I can attest to this, having come from such a scientific discipline myself (physics). [page 63, 64] As you delve into spiritual science, you become increasingly aware of what a lofty training of thinking it is and that the chaotic thinking we encounter everywhere today, especially in scientific circles, must be overcome. Perhaps you occasionally feel that what you hear makes strenuous demands on your thinking. Spiritual science, however, is also a noble training of logical thinking, since it forces us to interpret properly what we encounter in the world. And we must correctly interpret certain manifestations that lead from an anthroposophy that is concerned with the individual to an anthroposophy concerned with all of humankind. We have learned that we humans look the way we do — we are erect, bilaterally symmetrical, have a head at the top, a brain to the back of the head and sensory apparatus to the front — because of the evolutionary processes we went through in this cosmos. We could look no other way than we do. Next we find a connection between the migrations of the earliest peoples of the Earth from East to West and West to East were necessary in order for them to learn to speak. "Human beings could not have learned speech if they had stayed where they were when they could not yet speak." (Page 66) And they could not learn to speak by moving in a North-South direction. [page 67] If you now consider this — and I ask that you consider it very carefully, since it is not so easy — you will realize that in order to learn speech, human beings had to produce a current that flowed from within outward, that made its way into the sentient body. People had to encounter the group-soul current and offer their organization to it, so that what could build the larynx could congest there. Human beings had to meet, within the earthly realm, such a current that could work into the human astral aspect. When human beings were first learning to speak, therefore, they could neither move in a northerly nor a southerly direction but had to move in a direction at a right angle to both. In other words, they had to move east to west or west to east at the time when they were to learn to speak. Spiritual science tells us that human beings at one time lived in ancient Lemuria, there where the sea now extends between Africa and Asia. Then they moved in order to learn to speak. They could not go south or north but had to move west to ancient Atlantis. While moving west to Atlantis, they encountered the group souls who could evoke speech in them. You will find spiritual scientific observation confirmed as you come to understand the organism of human speech. Thus, human beings learned speech in ancient Atlantis. From these considerations, the migration of early peoples, the directions they migrated, their learning to speak, and their learning to visualize all arise as necessary concomitants. [page 67, 68] Human beings then needed to develop the sense of imagery based on speech. They were not to stop at mere speech but were to advance to a sense of mental representation. How could this happen? Of course, they could not continue in the same direction; they had to go in the opposite direction with the same current. Why? We saw what happens when visualization arises from the sense of tone or speech. We have seen how the speech tone develops from melody when transformed into harmony and when the fundamental tone is disregarded so that only the system of the overtones remains. Then the development of the visualization sense required the suppression in speech, on one side, and on the other, what had to be developed. Human beings had to reverse their direction after learning to speak. They had to return east from Atlantis to develop the sense of pictorial thinking from the speech they had learned. Here we see the significance of migration, as described by spiritual science, during which the ancient Atlanteans who were sufficiently mature began to move from west to east. They were thus able to develop the visualization sense in a fruitful way. Then it would follow that those who moved in the opposite direction — to the west — would not be able to develop a sense of visualization in a fruitful way. The ancient peoples who did migrate to the West followed their karmic destiny to live, grow, and wait till recent times when what was learned in the East was brought to them on the shores of America. [page 68] Some people did go in the opposite direction. They are the original inhabitants of America. Why did they not keep with this development? Why was it necessary that that which was learned in the east be brought to them later? It was because they moved in the opposite direction. That was the cosmic destiny of the original inhabitants of America, that they migrated in the opposite direction. This demonstrates the palpable reality of what is reported by spiritual investigation. One can understand the whole organization of the Earth. The distribution of the continents, firm lands, and oceans and human migrations can all be understood once you comprehend the mystery of the continuous streams affecting human beings, which we have come to understand through anthroposophy. Anthroposophy really guides us into that living realm where human beings and the outer world can be clearly understood. Those who migrated to the East and developed their ability to visualize had another growth step to endure — they had to learn to develop concepts. This necessarily involved another migration, this time back to the West, to western Asia, Northern Africa, and Europe, where conceptual-based cultures were to develop. [page 68, 69] And now we can go further. We could ask: Did humanity go on to learn more after the sense of visualization was developed? Humanity was not intended to stop short at pictorial imagination, but to progress toward the ability to form concepts. The next step was to ascend out of the mere visualization sense to the soul life. Again, humankind had to move in the reverse direction. First, humanity had to go east to develop the imaginative life. To develop pure concepts, on the other hand, called for a reverse migration, since the ability to conceptualize could be attained only after returning westward. If we had enough time to bring together all the findings of anthroposophic research, we could gain a detailed understanding of the great migrations that occurred during the four post-Atlantean cultural periods. We would obtain a wonderful tapestry of the activity of spiritual forces in every aspect of the formation of Earth and humankind. Animals, while they may seem to have memory and possess intelligence, have only the simulation of memory and intelligence. Animals “can be directed by intelligence” but do not possess it — they lack the crucial element for having both memory and intelligence, an individual “I”. Instead they are directed by a Group Soul which possesses intelligence for the group or species and directs the animals who, individually, do not possess it. [page 69] Here we must consider something that is found only in human beings — something animals do not yet possess in the same form. It is the inner soul activity of memory. It is pure scientific invention to say that animals have a faculty for remembering. It is not surprising that animals act in a way that requires the same explanation used to explain human behavior. It is a mistake, however, to call such animal behavior “memory”. . . . The facts show only that one can be directed by intelligence without possessing it, and that is how it is for animals. “In memory we have before us a mental image that remains after the impression, or perception itself, is no longer present.” (Page 70) This type of memory in doyletics is referred to as “cognitive memory” or “conceptual memory”. It is the key element that enables human beings to perform time binding, which animals cannot. Humans possess two types of memory: doylic memory and cognitive memory. Cognitive memory is what everyone calls simply, “memory”; doylic memory is the unconscious repetition of an event one has experienced or performed before. Animals lack consciousness — for which time-binding is essential so far as I know — and therefore must necessarily be unconsciously repeating events it has done before. Thus animals can be understood to possess doylic memory, but not conceptual memory. [page 70] Memory is correctly described as the retention in us of a mental picture; it is not the repetition of an external act. It is the I that retains the mental pictures. The nature of memory is that the I takes hold of a mental picture and retains it. But for this to occur in a human organism, an organ has to be created; the I must produce the necessary currents. Such currents must issue from the I itself and converge with the other currents coming from every direction. The I must flood into the other currents that exist without the I, and the I must conquer them. If, say, a current flows in from outside, the I must be able to issue a current in the opposite direction. This essential activity-in which the I was unable to engage at the very beginning-becomes apparent when you recall that during the age when the human being was supposed to learn to speak, such a countercurrent had to arise. Because the I was not yet in a position to do so, a group I had to assume the task of driving this current into human souls. When real human soul life began with the participation of the I, however, the I itself sent currents out that penetrated the other, already existing currents. Many things were influenced by the currents shown in the Currents Figure: the organization of our body, the way the continents are situated on the face of the Earth, the directions of migrations of the ancient peoples, and the development of visualization, memory, and conceptualizations. Steiner will add one last piece to this puzzle and show us how our direction of writing was influenced by these currents. First a little background is in order about the intellectual and consciousness souls. We learn that the intellectual soul operates in left to right currents and the consciousness soul operates in right to left currents. That reading and writing are intellectual soul activities and calculation is consciousness soul activities. Few people consider, unless it is called to their attention, that we calculate from right to left. [page 71, 72] It would lead too far off the subject to develop everything in detail, but we can point to the current that flows as the I develops memory. This is a current flowing from left to right. Currents also flow in the same direction as that in which the I develops characteristics such as habits. These left-to-right currents flow counter to the earlier currents that arose without the I. The I bores into them. In studying the soul life, we can distinguish between the sentient, intellectual, and consciousness souls. The intellectual soul can still be deceptive. You will recall that I said it is possible to have intellect without possessing intelligence, since intelligence is based on the I-being. To gain inner access to the I, the intellectual soul must develop from within to the level of the I. Then it ascends to the consciousness soul. Now this always involves opposite directions. When it becomes conscious, the consciousness soul always assumes thereby a direction counter to that of the intellectual soul, which still works in the unconscious. Is there any evidence that the stream of these two souls flow in opposite directions? This can be observed under certain earthly conditions. Think, for example, of learning to read, which in a certain sense is a very intellectual activity, not necessarily based on possessing an intelligent I. What I am about to say applies primarily to Europe, where, as you know, the population waited, as it were, for later cultural conditions to develop. Thus, you arrive at something that was present in Greco-Latin culture, when the intellectual soul first developed what is called writing. People began to learn to read and write as that soul was formed. This was, however, only the very beginning; this feature was retained. Then came the effect of the consciousness soul. Conscious activity must occur in a direction counter to that of the intellectual soul, because the two currents flow in opposite directions. People first learned to calculate once they had developed the consciousness soul, since arithmetic is a conscious activity. In other words, read and writing is a process that we of European-originated cultures do unconsciously from left to right, but calculation is a process we do consciously from right to left. But what about those cultures which write from right to left — does Steiner completely ignore them? He points out that the Semites had a precocious jump on the consciousness soul which shows up even today in their writing which flows from right to left. [page 72] The nature of Europeans . . . shows that they were predestined to wait in the development of the intellectual soul until a certain point in time, so that the consciousness soul would not develop prematurely. By way of contrast, what needed to be developed in the consciousness soul in Western culture, other ethnic groups had developed as capacities of the intellectual soul. These people, therefore, had to be given the possibility of accomplishing something with the intellectual soul that those who waited could accomplish only later through the consciousness soul. It was the Semites who had the mission of preparing for the development of the consciousness soul while developing the intellectual soul, thus becoming pioneers of the consciousness soul. Because of this, they write from right to left. These findings offer us a means for understanding not only the human being as such but also all cultural phenomena. Such facts explain why, at a certain evolutionary moment, writing and calculation were accomplished in a particular way. We could explore further, right into the forms of the letters of each people, and see whether this or that individual folk formed its letters with strokes from left to right or vice versa. It is a matter that can be understood on the basis of these spiritual facts. You see here the future mission of spiritual science, if it is to bring light into people's heads for an understanding of what would otherwise remain unintelligible. The last sentence of the passage above highlights my own reason for studying spiritual science, "to understand what would else remain unintelligible." This completes the four lectures that Steiner devoted to "Anthroposophy" — the knowledge of the complete human being — in October 1909. The next four lectures are devoted to "Psychosophy" or knowledge of the soul life, and the final four lectures to "Pneumatosophy" or knowledge of the spiritual world. To Proceed to Second Four Lectures given in 1910, 5 to 8, on "A Psychology of the Soul", Click Here: Psychosophy.